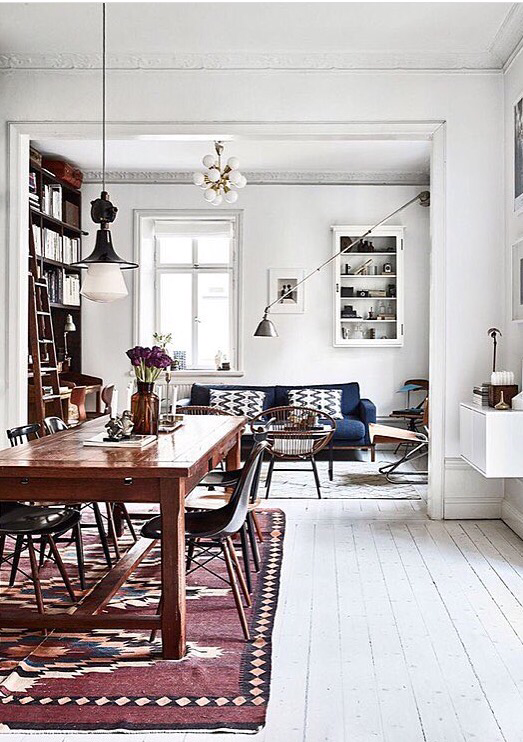 Different floors & rugs in a beautiful combination. When you have a good foundation with the furnishing & the various functions in place, it is wonderful to then add to the textile feeling to create a homely haven – with rich colours that amplifies. Light Blue is a colour that has attracted my interest for a while now. Maybe a little bit darker in tone but not too close to the grey, as the bench on the image. Anyway, a nice setting with a lovely light feeling.